I am really on a roll creating some really fun and colorful coasters! I've been selling them at craft fairs, giving them as gifts and keeping many for myself! 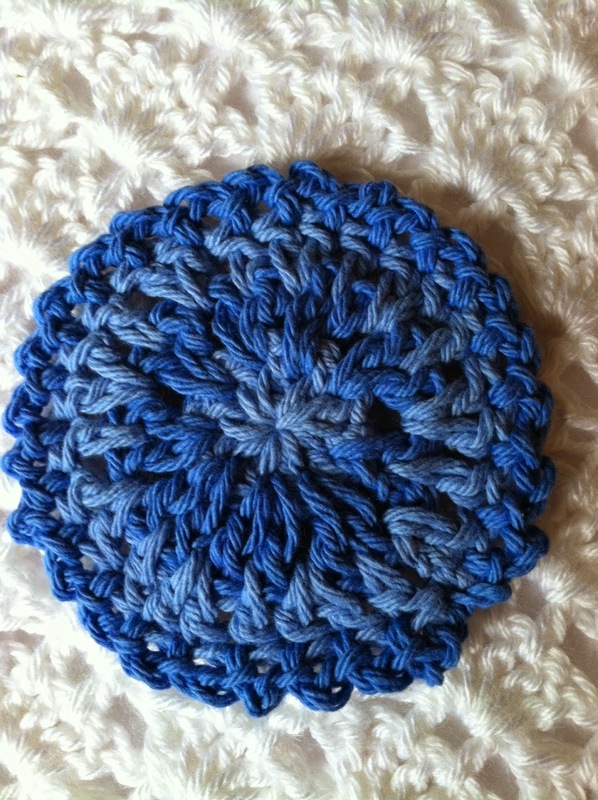 This one is again a type of mandala pattern but using only two colors.....in this case, blues. Round 3: Change to Color A. Ch 2. Work 1 dc in first stitch as Ch 2. *Work 1 dc in space before next stitch. Work 2 dc in next space between stitches. * Repeat from * to * around. Join to first dc with slip stitch. Round 4: Change to Color D. *Ch 2. Slip stitch in next stitch. * Repeat from * to * around. Join to first Ch 2 with slip stitch.